Malaysian Prime Minister Mahathir Mohamad named three senior ministers in his new Cabinet on Saturday (May 12), three days after his Pakatan Harapan (PH) coalition ended Barisan Nasional's six decades in power. His announcement came as his predecessor Najib Razak said he would step down as chief of Umno and Barisan Nasional after he was barred from leaving the country. It was also confirmed that jailed politician Anwar Ibrahim, once the country's opposition leader and deputy prime minister, will be released from prison next Tuesday (May 15). The coveted Finance portfolio was handed to Lim Guan Eng, secretary-general of the Democratic Action Party (DAP). President of Parti Amanah Negara (Amanah) Mohamad Sabu will head the Ministry of Defence and the Ministry of Home Affairs will be led by Tan Sri Muhyiddin Yassin, president of Parti Pribumi Bersatu Malaysia (PPBM). “The three most senior ministers really represent the leadership of the parties concerned,” said Dr Mahathir to a packed room of newsmen. Mr Lim told reporters that his priority is to ensure Malaysian jobs and business opportunities are protected. “Our focus will still be helping those who find it hard to make ends meet,” he said. Dr Mahathir, who during his former tenure as PM implemented capital controls in the wake of the 1998 Asian financial crisis, declined to speculate on possible measures the new administration may take when the financial markets open on Monday. PH’s shocking win on Wednesday is expected to unsettle markets, which have been closed since the election for a two-day public holiday. “We will watch the markets and take necessary action whichever way the market goes,” he said. Malaysian Prime Minister Mahathir Mohamad speaks during a press conference in Petaling Jaya on May 12, 2018. On Friday, the premier had said the Cabinet will initially comprise 10 key ministries in Finance, Home, Defence, Education, Rural Development, Economy, Works, Transport, Foreign Affairs and Multimedia, Science and Technology. 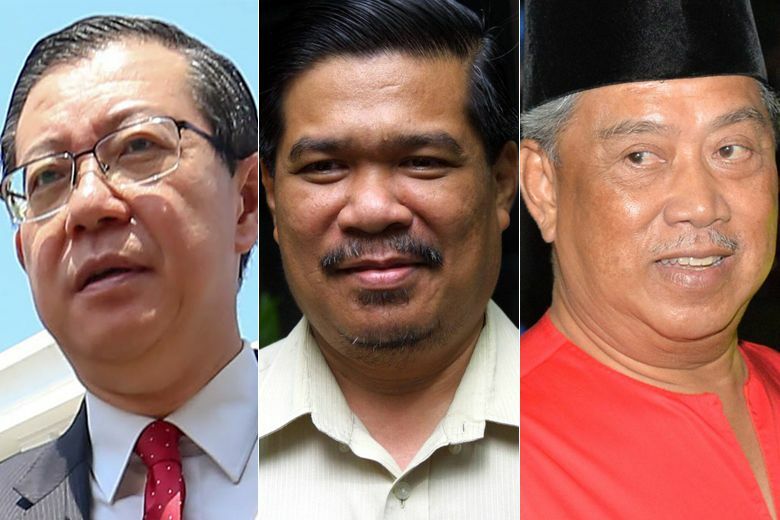 The remaining seven ministers were not announced on Saturday and will be decided next week after each of PH’s four component parties - Parti Keadilan Rakyat (PKR), DAP, PPBM and Amanah - submits three names for consideration. “We can’t say abracadabra and everything happens. It takes time,” said Dr Mahathir. A total of 25 names will be announced for cabinet, Dr Mahathir revealed, but added that it will take two to three weeks before the full Cabinet can be finalised. In its election manifesto, PH had pledged that unlike the previous administration, the Prime Minister would not also hold the finance portfolio, and that the Prime Minister's department will be trimmed down to have only three ministers, from 10 previously. "We realise of course many of us have no or little experience in running government. Of course this expertise must come from those with experience in running previous government," said Tun Mahathir. As such, he said a council of elders will be established to review issues and prepare Cabinet papers in the interim. This group of "eminent persons" comprise former finance minister Tun Daim Zainuddin, former Central Bank governor Tan Sri Zeti Akhtar Aziz, Tan Sri Hassan Marican, former CEO of national oil company Petronas, billionaire tycoon Tan Sri Robert Kuok and economist Professor Jomo Kwame Sundaram. The council will also review the business dealings at scandal-plagued state fund 1MDB as soon as possibe, he said, but stopped short of giving a deadline. “It’s very complex. It involves a lot of people and decisions made,” he said. Former prime minister Najib Razak has been linked to the money-laundering allegations surrounding 1MDB after RM2.6 billion (S$880 million) was found in his personal accounts. He has said the funds were a donation from the Saudi royal family and been cleared by Malaysian authorities of any wrongdoing. The embattled ex-premier told a press conference on Saturday: “Umno and BN were defeated badly so I, as Umno president and BN chairman, will step down. Anyone who is the leader and failed, it is the responsibility of that person to accept defeat. With an open heart, I accept it". He said former deputy prime minister Ahmad Zahid Hamidi will take over as BN chairman and Umno president, while former defence minister Hishammuddin Hussein will take on the duties of deputy Umno president and deputy BN chairman. Mr Najib, 64, also urged all Umno and BN members to give their support and trust to the new leadership. The press conference capped a dramatic day for Mr Najib which began with him saying on social media that he was taking a short break following the shock defeat in this week's general election. A flight manifest which was circulating on social media showed that he and his wife Rosmah Mansor were planning to travel to Indonesia. The news prompted dozens of journalists to gather at Subang Airport early in the morning. But before the couple could take the private flight which was scheduled to depart at 10am, the Immigration Department announced that Mr Najib and Ms Rosmah had been blacklisted from leaving the country. A flight manifest circulating on social media and which showed that former Malaysian Prime Minister Najib Razak and his wife were planning to travel to Indonesia prompted dozens of journalists to gather at Subang Airport. "I respect the decision and will be with my family in the country," Mr Najib said in a Facebook post in response to the ban. On how major infrastructure projects with foreign investors - such as the East Coast Rail Link and the High Speed Rail link between Malaysia and Singapore - will be affected by the new administration’s policies, Dr Mahathir stressed that Malaysia would remain “friendly with all countries” and that a review would be done to see how those projects favour Malaysia. “We want to benefit from these projects. Whatever decision we make will be based on these studies,” he said. Meanwhile, two top officials from Parti Keadilan Rakyat (PKR) confirmed to The Straits Timesthat Anwar will be released once the pardon is issued on Tuesday. "Pardon (is) based on a miscarriage of justice," said Anwar's daughter Nurul Izzah Anwar, who is also Permatang Pauh MP in a WhatsApp text to The Straits Times. PKR vice-president Shamsul Iskandar said the paperwork will be dealt with on Monday, with the pardon to be issued on Tuesday followed by Anwar's immediate release.